In the early '70s, Fred Salvador was the Director of Parks and Recreation for Timmins, a remote city in northern Ontario, Canada. One day he saw the Petaluma Worlds Wristwrestling Championships on TV and thought a similar event would be perfect for the city. The city got behind the idea and he organized the first Canadian Wristwrestling Championships in May 1971. Little did he know that this would later be referred to as the birth of organized armwrestling in Canada. The event featured the same classes at Petaluma (0-175, 176-200, and 201+ lbs). It was a stand-up event, with a very rudimentary table. Non-competing hands were clasped in the centre of the table. There was no prize money, but the first place finishers were given an all expenses paid trip to the Petaluma World Championships. The event mainly drew regional competitors, but it was enough of a success to secure a major sponsorship from Carling, a large Canadian brewery. The 1972 event was renamed the Carling World Wristwrestling Championships and televised on CTV under the Carling World of Sports banner. Improvements were made to the table, and there were cash prizes to the top two competitors in each class ($500 for the winner and $100 for the runner-up). By 1973, the event was being called the Carling O’Keefe World Armwrestling Championships, the name with which the event is most remembered. In its first years the event mainly drew regional competitors, but the television coverage began to attract pullers from farther and farther away. As attendance grew, so did the prizes. 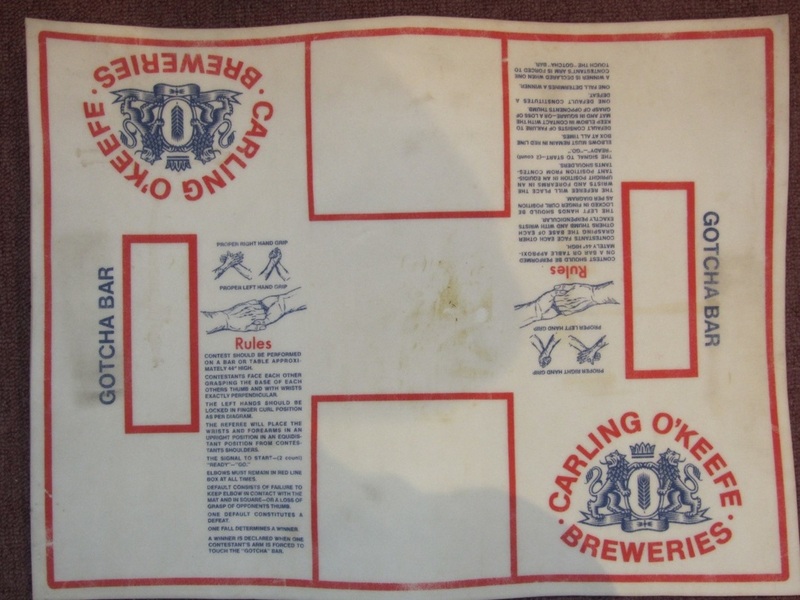 The rules and table used for the Carling O'Keefe Worlds were regularly updated in an attempt to make matches better for the competitors, spectators, and officials. Until 1974, the tables that were used had "gotcha bars" (the equivalent of pin pads), but no hand pegs. Rather than pinning their opponent to their forearm, competitors had to lower their opponents wrist to or below the top of the gotcha bar -- in other words, parallel pins were allowed. The table used starting in 1975 was a pegged table, so in effect the switch was made from wristwrestling to armwrestling. Interestingly, the hand pegs weren't centered -- they were slightly past the halfway point of the table, making it more difficult for competitors to twist their bodies during the match. Rather than elbow pads, there were boxes for the elbows. Competitors were permitted to ride the rim of the box, but the elbows could not come out. Top view of the table used for the 1975 event. Note the position of the hand pegs. The Carling O'Keefe Worlds was the premier event in Canada during the 1970s. An increasing number of tournaments started springing up in different parts of the country, but many promoted themselves as qualifiers for the Timmins Worlds. 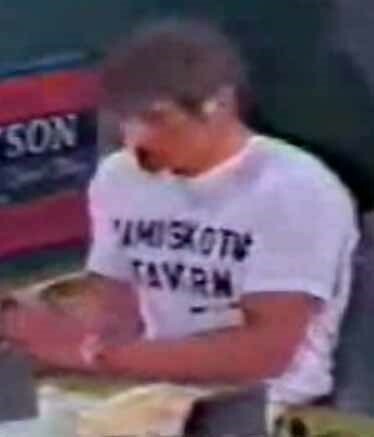 Due in part to its location in the central part of the country, Timmins became a perfect meeting place for the best armwrestlers of eastern and western Canada. As the talent level of the competitors increased throughout the decade, the event started to be referred to by someone as "Petaluma North". Some American competitors started to come up to try to win both World titles - Petaluma and Timmins. This particularly started to happen once the Petaluma event was moved from May to October in 1974. The only pullers to win titles at both events are Dave Patton and Clay Rosencrans. 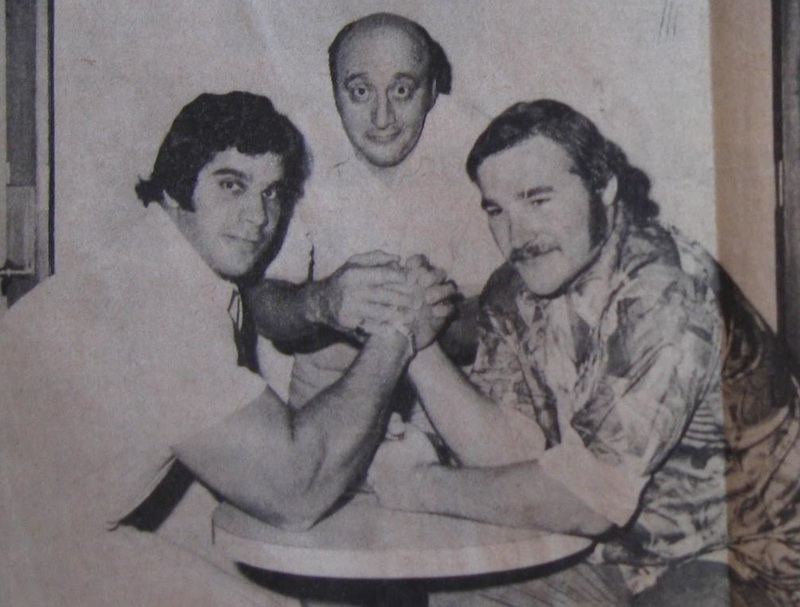 A promotional picture for the 1976 event, featuring Mr. Universe Lou Ferrigno and 1975 Heavyweight Champion Ron Bertin. Fred Salvador (centre) always made an effort to promote the tournament by inviting special guests. 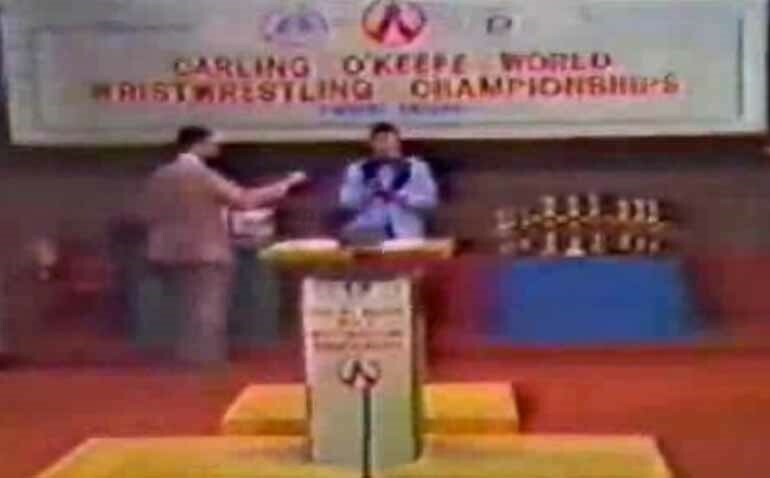 Unfortunately, due to sponsorship troubles, a loss of television coverage, and increased competition from other large armwrestling tournaments, the Carling O'Keefe Worlds ended a 12 year run in 1982. The tournament's role in the development of organized armwrestling in Canada cannot be understated. It is at these annual events that many of the pioneers of Canadian armwrestling first met. 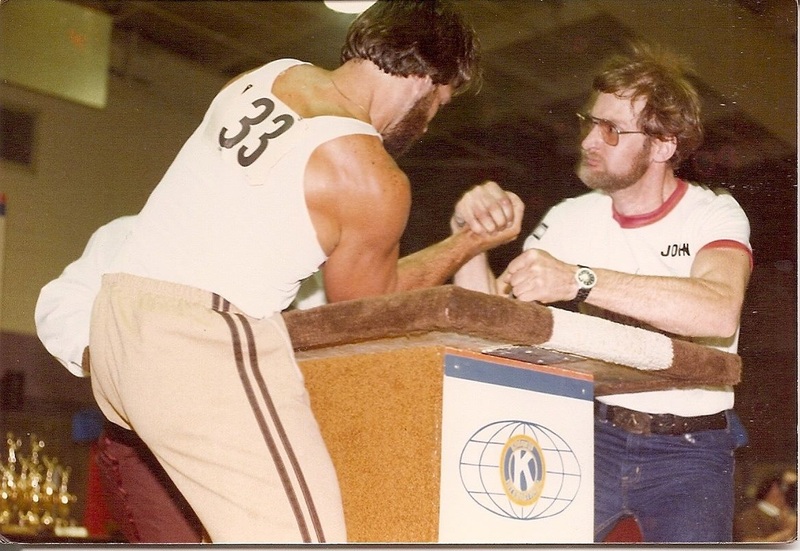 John Miazdzyk started attending in the mid '70s and was inspired to form the Canadian Armwrestling Association in 1976. Gene Tatti (the initial CAWA Director for Ontario), and Ken Taylor (the initial CAWA Director for Quebec), first met in Timmins. Working together, along with other provincial directors, they went on to make strides in standardizing the sport (e.g. rules, weight classes) across the country. 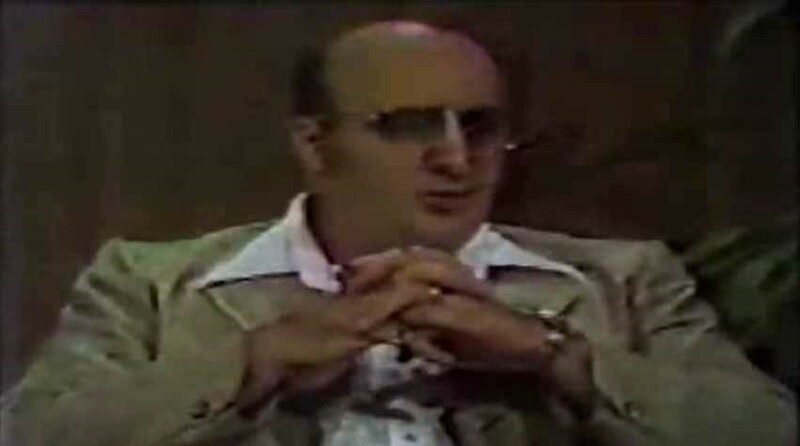 Also, the first "true" WAWF World Championship held in Alberta in 1979 was possible in part because of Mr. Salvador's sponsor and media connections. The Carling O'Keefe Worlds are fondly recalled by those who attended, and the event's spot in armwrestling history will never be lost. A piece of rolled-out foam that could be put on top of a regular table to simulate actual table dimensions. The rules are also described. This would be from the early '70s, when the non-competing hands were still being clasped. The Petaluma World's Wristwrestling Championship also had a similar promotional piece.